Students follow the path of the Mongol Empire from its origins as a horde of loosely aligned cavalry on the steppes of Asia, to its expansion throughout Asia and into Europe and the Middle East, to its decline and collapse after about a century. 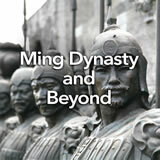 They study and explain the contributions of the Mongols to Chinese and Asian history. Finally, they assess Genghis Khan‚Äôs attributes as a ruler. In this experience, students follow the path of the Mongol Empire from its origins as a horde of loosely aligned cavalry on the steppes of Asia, to its expansion throughout Asia and into Europe and the Middle East, to its decline and collapse after about a century. 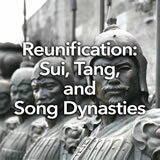 They study and explain the contributions of the Mongols to Chinese and Asian history. Finally, they assess Genghis Khan’s attributes as a ruler. Students will collaborate in pairs in scene 3, but they will submit individual posts. This experience contains a lot of content. You may choose to teach it over two sessions in order to spend adequate time on the various elements of the Mongol Empire. Trace the development of the Mongol Empire. 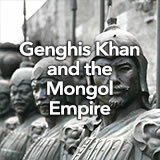 Analyze the impact of Genghis Khan and the Mongol Empire. The Mongol Empire, which conquered much of China in the 1200s, was the largest land empire in world history. You’ll learn about it in this experience. It began as a horde of horsemen armed with bows and arrows, riding across the steppes of Asia. Led by one of the most remarkable men in all of history—Genghis Khan—they won battle after battle despite being outnumbered. They struck terror into tens of millions of people, but they also brought intelligent government to societies that thought they were more advanced. Watch Genghis Khan—Rise to Power to learn the story of this amazing historical phenomenon. Based on the video, what is your impression of Genghis Khan? Discuss student responses. You may want to go ahead and pose a question about whether leaders such as Genghis Khan can be both good and bad, as this question will come up later in the experience. The Mongols in World History is a superb resource for information on the Mongol Empire, Genghis Khan, and his successors. Recommend relevant pages to students who are interested in specific topics, and use the website for your own additional knowledge.